The 33 in. Shower Wand is ideal for watering shrubs and hanging baskets. It features a heavy-duty shower head and shut-off for controlling the water flow. The gentle shower spray is perfect for flowers and delicate plants. 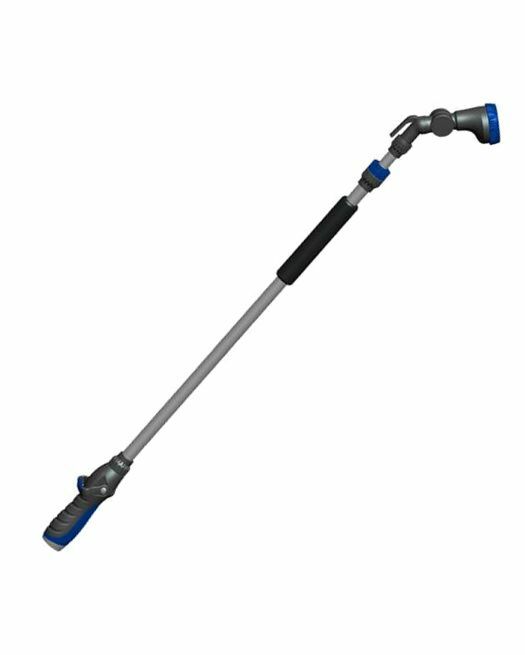 These heavy duty wands include a fast and easy front trigger handle for extended use with less fatigue. The ratcheting head make reaching difficult areas a breeze. 9 watering patterns provides exact watering for all of your needs. This wand offers a choice in spray patterns; find the right one for every task in the home and garden, from a gentle rain-like shower for gardens to a powerful jet spray perfect for clearing away debris. To modify water pressure, a thumb control knob allows a quick adjustment to the flow of water without going back to the faucet.